You'll be £4.99 closer to your next £10.00 credit when you purchase Slaughter at Sea. What's this? Ironically while the Japanese Navy followed many of the Royal Navy's traditions and structures, it had a totally different approach to the treatment of its foes. The author has uncovered a plethora of outrages against both servicemen and civilians which make chilling and shocking reading. These range from the execution of POWs, the abandonment of survivors to the elements and certain starvation to the infamous Hell Ships. The author who lives in the Far East examines the different culture that led to these frequent and appalling atrocities. This is a serious and fascinating study of a dark chapter in Naval warfare history. 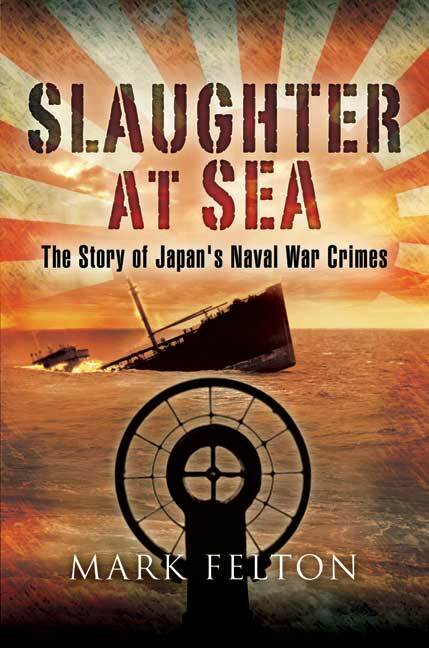 The story of Japan's naval war crimes. This book recounts a series of Japanese naval atrocities committed between the high-water mark of the [Japanese] Empire's expansion in early 1942 and the final weeks of the war in 1945. Born in Colchester in 1974, Dr Mark Felton is the author of numerous World War II related titles with emphasis on Japan and the Japanese involvement during the war. He currently lives in China where he teaches at Fudan University.